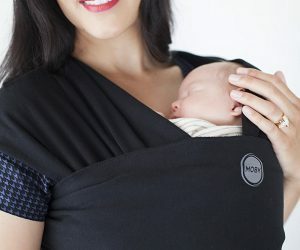 Moby Baby Wrap Carrier Review - it's BABY time! I am a huge advocate for babywearing, and so are medical professionals. According to Dr Sears, a highly respected American pediatrician who has authored more than 30 books on parenting and has extensively studied the benefits of babywearing, it helps to develop a stronger bond between parent and child, helps to soothe babies and aides in their cognitive and physical development, and it makes parents feel more confident – and those are just some of the benefits that babywearing provides. Given all of these benefits, it’s no wonder that there are so many babywearing products on the market today. From slings to backpacks, there are so many types of baby carriers to choose from, so parents who are interested in babywearing shouldn’t have any problem finding one that will suit their needs. Personally, I find that the best baby carrier is a wrap. A wrap is one of the most basic types of baby carriers. Essentially, it is a long piece of fabric that wraps around the body of the wearer, and once secured, the baby is placed inside. A wrap is soft, lightweight and so much easier to store than other baby carriers – just fold it up and it can be neatly stored in a diaper bag, underneath a stroller or anywhere else. Plus, the fit can easily be customized, which means that they can be worn by both men and women of all shapes and sizes. There are several manufacturers that make baby wraps, but my personal favorite is the Moby Baby Wrap Carrier. Several of my friends used this carrier and loved it, so I decided that I would give it a try, too. To be honest, I was a little hesitant when I got my first wrap. I wasn’t quite sure how I was going to figure out putting it on, and I was a little nervous that it wasn’t going to securely hold my baby. But, given the fact that I’ve witnessed so many parents using this wrap, I knew that it was safe. The Moby Wrap Baby Carrier comes with detailed directions that teach you how to properly wear it in several different positions, and how to place your baby in it. Plus, they offer step-by-step tutorials on their website. I just followed the directions given in the package and got it on in no time. Once it was in place, I slipped my then 2-week-old in and I have to say that I was instantly amazed. My baby was incredibly secured, and I felt this instant connection with him. My hands were free, so I could tend to other things (like playing with my then 3-year-old son) without having to put my infant down. He would sleep so peacefully in the Carrier. When he was hungry, I could easily breastfeed him without having to take him out (the directions that come with the carrier teach you how to wear the wrap and position the baby for breastfeeding.) When he was awake in the carrier, he was always happy and he was very alert. Needless to say, I was so impressed with the Moby that I bought several others and I used it to carry my son (who is now 3) until he was 1 ½-years-old. The Moby Baby Wrap Baby Wrap Carrier offers a number of features and benefits that both parents and babies will enjoy. The Moby Baby Wrap Carrier is designed to safely carry between 8 and 35 pounds of weight, which means that you can use it from the newborn stage right up to toddlerhood. Made of 100% cotton, this wrap is extremely comfortable for the wearer and the baby. The cotton is soft and very breathable, which means no overheating. The wide fabric is easy to adjust to the size of the body and it creates wide “straps” that go over both shoulders so that weight is evenly distributed, which increases comfort. There aren’t any buckles, fasteners or snaps to contend with, which also increases comfort. The Moby Wrap is 100% machine washable and dryable, so cleaning it is a breeze. Plus, you don’t have to disassemble it or reassemble; when it’s clean, you can put it right back on again. The Kangaroo Hold, which keeps the head and toes snuggly ticked inside a little pocket and simulates the feeling of the womb. The Newborn Hug Hold, which keeps the feet snuggly tucked inside. The Hug Hold, which lets the legs stretch out from the sides (in the proper position) for extra room to stretch. The Hip Hold, so growing little ones can easily interact with the world while still being close to the wearer. Offered in several different colors and designs, you will be able to find a Moby Wrap that coordinates to your attire and speaks to your style. Some of the color options include pink, purple, blue, gray, brown and black. Some of the design options include flowers, owls, plaid and even sports teams! 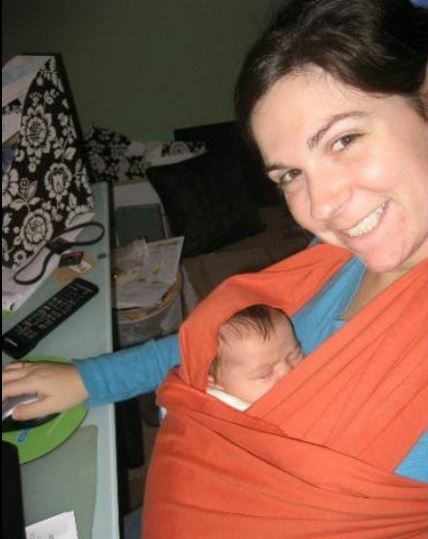 It may take a little practice, but you can nurse your baby while wearing the Moby wrap. There are tutorials available on their website that will teach you how to breastfeed while wearing the wrap. This wrap carrier is similar to the Moby, as it is also a long strip of fabric that is easily adjustable and can be used for different holds. Unlike the Moby, which is made of 100% cotton, the Happy Wrap Organic Bamboo Carrier is made from organic viscose bamboo, which might appeal to eco-friendly mamas. 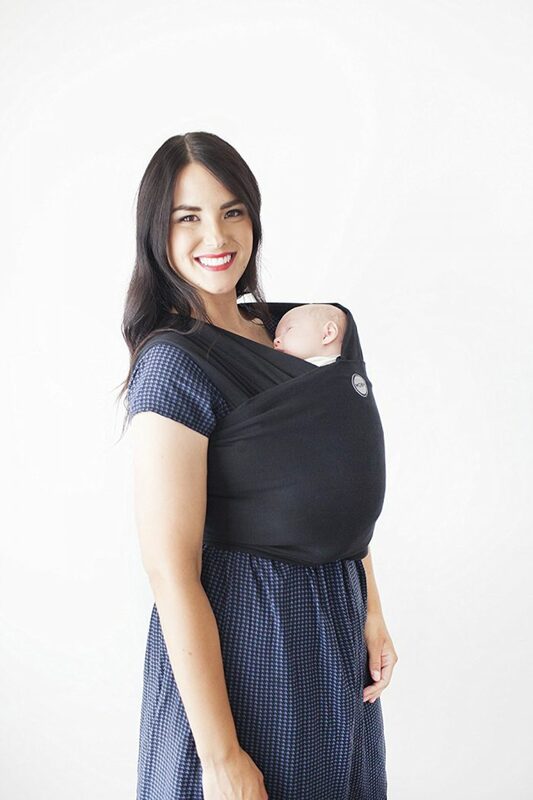 This wrap carrier offers the comfort of a wrap and the convenience of a sling. You don’t have to do any wrapping; just slip it on and it’s ready to go and it carriers the baby in a comfortable position. But, unlike the Moby, you have to purchase the proper size (available in XS through XL) and it can’t be used to carry baby in different positions.